Heading east at Roanoke, VA.
Photographed by Ken Patton, October, 1978. Added to the photo archive by Ken Patton, September 10, 2018. 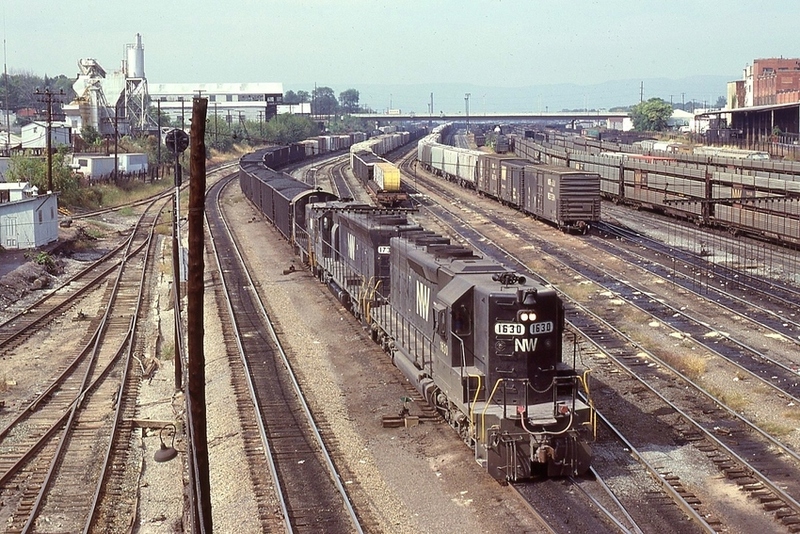 Railroad: Norfolk and Western Railroad.